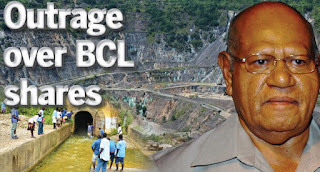 Bougainville Copper Ltd is committed to supporting community initiatives in areas like education and health, says BCL executive chairman Mel Togolo. He said the Autonomous Bougainville Government (ABG) was fully supportive of this. “Intensifying community engagement in Bougainville in 2017 was a priority for the company,” Togolo said at BCL’s annual general meeting on Thursday. “Strong engagement in project areas remains essential to foster positive relations. Togolo said the increased local presence was proving effective in the exchange of information between local communities and the company. BCL intends to open an office in Panguna this year. “Under the Bougainville Peace Agreement, a referendum on its future has been set for June next year,” Togolo said. “Planning for this became an increasing focus for the ABG in 2017 with an emphasis on weapons disposal, good governance and building public unity. “Any level of social disharmony is seen as a threat to this process and was a consideration in the ABG’s decision not to grant an extension of exploration license 1. “BCL remains totally committed to supporting the peace process and promoting economic and community development. “In this context, the redevelopment of Panguna will support these objectives. “In 2015, BCL volunteered to settle landowner claims relating to historic land compensation payments from March 1990 to March 1991. Togolo said it was pleasing to confirm that since payment commenced in Feb 2017, more than 96 per cent had been made. “In doing so, BCL re-established important community contacts and built goodwill,” he said.